"The Lenovo G570 ($749) is a 15-inch laptop that has a little more flair than its ThinkPad cousins, featuring a glossy lid and a metal palm rest. But you also get ThinkPad-like amenitites, including an AccuType keyboard. Add to that a fast Intel Core i5 processor and a roomy 500GB hard drive and you've got a solid system." Another day, another new laptop. 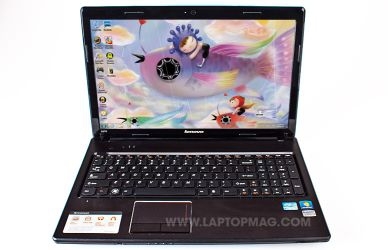 The Lenovo G570 is a good addition to your options though its weakish graphics does have me worried. Even if you have no interest in high powered 3D gaming, a powerful GPU can offer a lot of benefits such as faster Photoshopping to video processing to bitcoin mining. One thing that it does have going for it, and one thing I appreciate about Thinkpads is a nice keyboard. I personally think they could make a mint licensing the keyboard out to other manufacturers. One can dream.